Security integrators and manufacturers at the recent ISC West conference received tips on enhancing customer satisfaction in the Security Industry Association education session, “The Art of Client Loyalty—How to Build, Earn, and Retain Loyal Clients.” Inherent in the advice was an important lesson for loss prevention executives: You are in a strong bargaining position today to demand more from vendors and security integrators. 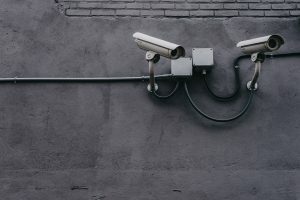 In light of the advice that vendors received for meeting customer needs, here are some of the provisions that you, as a client or a prospective customer, should be demanding from security integrators today. 1. Free education. Vendors shouldn’t just sell you a solution; they should be willing to educate your team how to extract maximum value from it. “There is a lot of competition [among integrators], so we offer free education and lunch-and-learn sessions on software to distinguish ourselves and to keep our customers,” said Christine Lanning, president of Integrated Security Technologies, an electronic security system integration firm in Hawaii. She also looks for chances to promote her clients. For example, her company recently nominated a security manager client for a local “40 Under 40” award sponsored by a local chamber of commerce. 2. Better communication. Bruce Pontier, business development manager at AMAG Technology, which is part of G4S, a leading global integrated security company, said customers should expect providers to offer a user-friendly communication portal that services a client organization at all levels. He said it’s common—but should not be—for a service technician to come and go from a client’s location without key client personnel ever knowing about the visit. “They’re like, ‘I didn’t know he was here, I don’t know what he did, or when he left. '” Clients should carefully review and assess the tools that a service provider uses to facilitate effective contact and cooperation with its customers. 3. Individual attention. Loss prevention practitioners should expect vendors to be well schooled on their unique challenges. You should not expect to feel like a generic client, suggested Tim Brooks, director of sales at PSA Security Network, a systems integrator cooperative. For example, security integrators should be performing ongoing interviews with stakeholders and conducting regular customer surveys, he said. Even better is an integrator that will help map your organization’s entire process related to a specific security solution. “That is incredibly valuable for insight into how a customer is actually using the system,” and for getting more value from it, he said. LP pros should also expect integrators to demonstrate knowledge about their specific industry and challenges, the panel suggested. “You can’t be everything to everyone, you need to concentrate on specific verticals and to really understand how they function,” Lanning advised integrators in the audience.